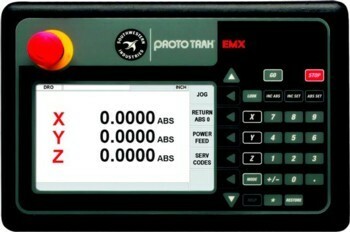 The ProtoTRAK EMX is great for first-time CNC users or for basic knee mill work. Essential features – minimal complexity. The ProtoTRAK EMX has the features you really need to work productively using a knee mill, but leaves out features that make other CNCs more complicated.